When a priest enters the ecstatic state of possession, his body is possessed by the deity, who then speaks and acts through him. 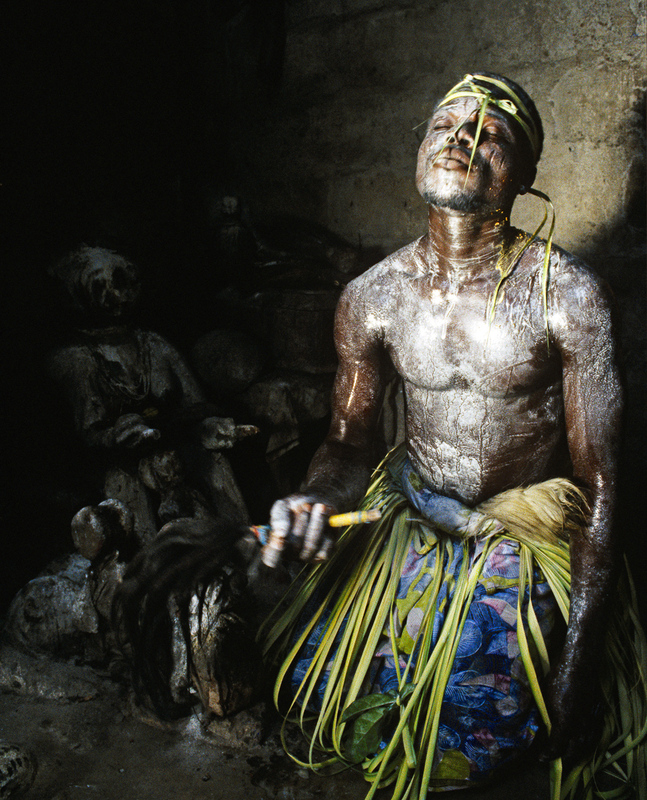 At the Voodoo hospital, this priest acts as an intermediary between a deity and a patient. The hospital is renowned for curing illnesses, which range from physical disabilities to nervous disorders and even emotional problems of the heart.